Condo Fees Are A Waste Of Money? Never do any maintenance on the systems. Never consider that they’ll have to replace the roof. Infrequently repaint, re-carpet, or refinish floors. The Non-Warrantable Condo! A New Type Of Condo Design? No Questions Asked Loan? Is It The Bull Market Of The Early 2000’s? 1. Buyer to get 20% HO6 dwelling coverage. 2. Statement from the property management company about the cleaning services in the condo’s budget. What type of cleaning services are they? An HO-6 policy is the form used for a condominium insurance policy. This condo policy will provide for coverage on the interior walls, interior upgrades, and for personal property held within the dwelling. 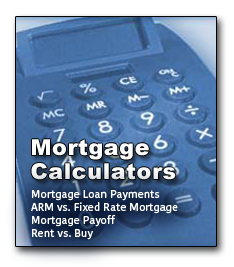 Getting a mortgage to buy a condominium is getting more complicated. The best advice I can give you is to make sure you talk to an experienced mortgage professional BEFORE YOU WRITE A SALES CONTRACT. This applies not only to the market I cover most in Washington DC, Maryland and Virginia, but nationwide. 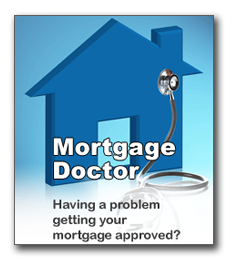 Checking with a lender beforehand ensures that the condo is able to be loaned on. You would be surprised how many condos cannot get financing, especially with Conventional mortgage insurance. Getting a mortgage for a condominium in the Washington DC area has gotten more difficult, as it has for condos in all areas. -the condo building usually must be 5 units or more. -the building must be at least 51% owner occupied (this is how many units are occupied by primary residents versus investor owned units). -there can be no right of first refusal in the condo docs. -the condo should be complete, with no additional phasing. -no legal action against condo. -the HOA must have been in control of the owners association for at least 1 year. -at least 90% of the units are sold. -no single entity owns more than 10% of the building. -adequate insurance and reserve funds in the budget. Getting a Conventional condo loan is similar to the above, except that you must usually have at least 60% owner occupancy (some banks requires 65% or even 70%). When a home buyer wants to buy a condo, the bank will not only qualify the home buyer, but they are also qualifying the condominium. So there are more questions to ask when buying a condo, when you want to get a mortgage.